A unique festival of art, right in the heart of Wokingham! We’re back! 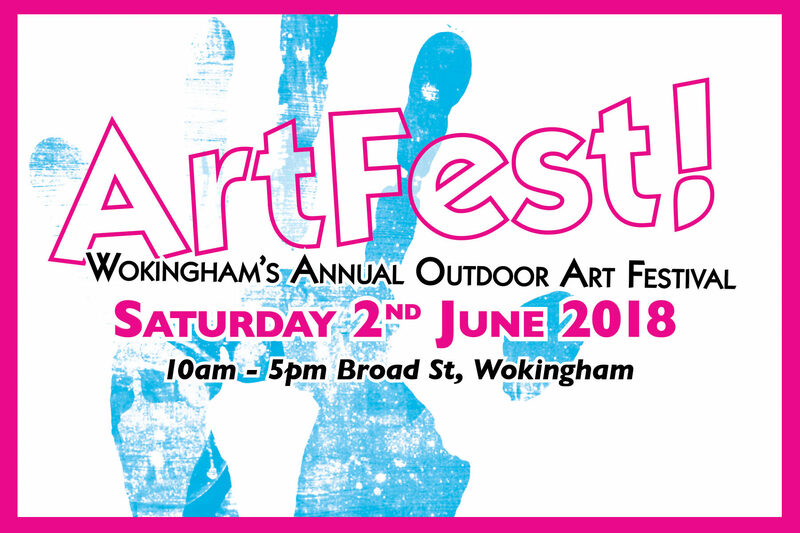 Following last year’s amazingly successful event, Wokingham welcomes us for the day on Saturday 2nd June 2018, for the return of ArtFest! As well as other art-related events, our main event, as last year, is an art market with over 50 Artists, selling original artwork, limited-edition prints, sculpture and ceramics. This, our THIRD ArtFest, again coincides with the International Concert taking place further up Broad Street. There will also be a ‘Food Court’ with lots of stalls selling food & drink between the stage area and ArtFest. Which makes it a perfect opportunity for all the Artists taking part, to sell their work and market themselves. And of course, a great opportunity for the people of Wokingham to soak up the atmosphere and experience a vibrant and dynamic art market for themselves. Despite the recent Town regeneration disruption, ArtFest promises, yet again, to be a great event for all! Pitches for Artists are available to book at our online store NOW. We expect there to be a high demand for pitches, so book your pitch ASAP! If you have any queries, please complete the form below. Please be sure to check the “Recaptcha” box and then hit the send message button. You should see a success message once your email has been sent.